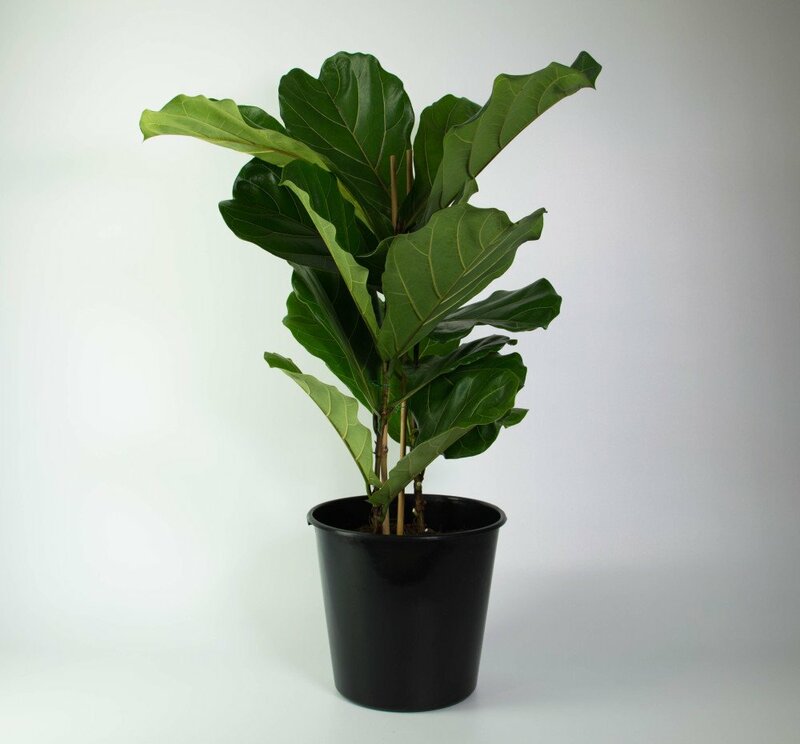 Perhaps the coolest indoor plant in the world right now, tropical Ficus Lyrata has large upright veined leaves shaped like a fiddle. He thrives in a warm location with bright light (but not direct sunlight) and likes regular watering (but not over-watering). OK, he is a little fickle but we still LOVE him. 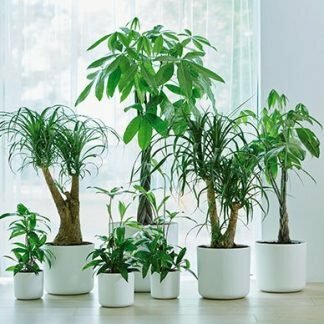 This lovely big plant – actually 3 plants per pot – is available in two heights. Please note: the leaves are slightly smaller than photographed. Supplied in a 25cm (8 litre) black plastic pot with drainage.